On October 22 at 9:00 a.m., hundreds of Phoenix residents will run brave through the city streets wearing boxers and briefs during the family-friendly Undy Run/Walk. Hosted by the Colon Cancer Alliance, this lighthearted event encourages participants to wear silly boxers, briefs or costumes in support of knocking colon cancer out of the top three cancer killers. Money raised through this annual event benefits the Arizona Department of Health Services’ FIT at Fifty HealthCheck program, as well as supports national prevention, research and patient support initiatives of the Colon Cancer Alliance. Created to raise money and awareness for colon cancer, the Undy Run/Walk isn’t the everyday 5K. Instead of typical running gear, attendees sport a variety of eye-catching attire, including themed underwear or boxers, frilly tutus, super hero capes, or head-to-toe costumes. 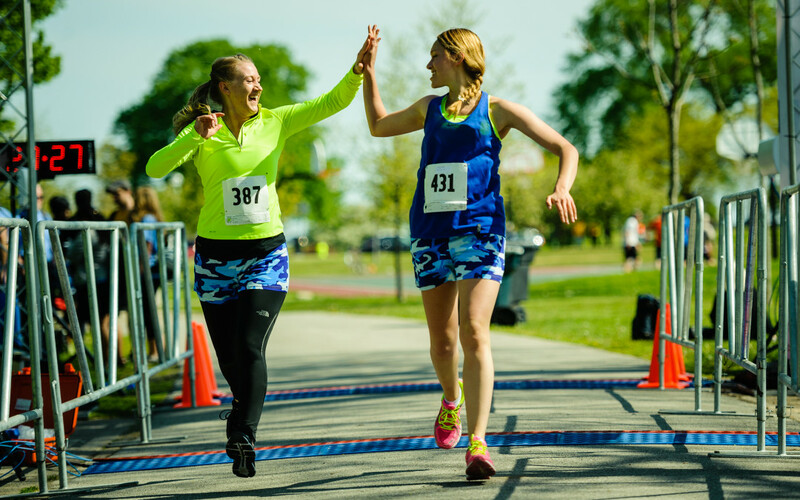 Included with the race registration is a pair of signature Undy Run/Walk boxers; however, participants are encouraged to get creative with their style choice and team spirit. A fun and clever twist on a serious topic, the Undy Run/Walk helps to spark much needed conversations about the disease. While it’s one of the most preventable cancers, colon cancer is still the second leading cause of cancer death in the United States. In 2014, nearly 140,000 Americans were diagnosed with colon cancer, and more than 50,000 died from the disease. In Arizona alone, there have been 2,560 diagnoses and 990 colon cancer deaths in the past year. Throughout the year the Colon Cancer Alliance hosts more than 19 Undy Run/Walk’s in major cities throughout the United States. Nationwide, the events raise more than $2 million annually. A supportive community, at least 80 percent of those involved in the Undy Run/Walk has some tie to colon cancer. The event is an opportunity to encourage those currently battling the disease, remember those lost too soon, and celebrate those who have completed colon cancer treatment. Undy Run/Walk participants can also stroll through a larger-than-life giant inflatable colon. This educational tool is a unique way for visitors to learn about this vital part of the body. In addition to the 5K, the event also features an all-ages 1-mile fun run. The Undy Run/Walk is October 22 in the State Capitol District in Phoenix. Onsite registration begins at 7:30 a.m., and the run/walk begins at 9:00 a.m. The Undy Run/Walk starts at 1700 W. Washington St., Phoenix, AZ 85007. For more information or to register, visit www.undyrunwalk.org, and click on Phoenix, Arizona. This event is presented with the support of MD Anderson/Banner Health and The University of Arizona Cancer Center at Dignity Health St. Joseph’s Hospital and Medical Center. Boehringer Ingelheim, the maker of Dulcolax®*, is the proud presenting sponsor of the 2016 Undy Run/Walk event series. As the #1 doctor-recommended stimulant for constipation relief, Dulcolax ® reminds everyone over the age of 50 or with a family history of colon cancer, that a colonoscopy can save lives. The Colon Cancer Alliance’s mission is to knock colon cancer out of the top three cancer killers. This is accomplished by championing prevention, funding cutting-edge research, and providing the highest quality patient support services. For more information, visit www.ccalliance.org.